More adsense and other useful tips from the blogosphere. Yesterday I had posted about adsense tips from the google adsense expert and today I had spent more time at the google adsense blog and I thought I wld share some of the information I found useful. 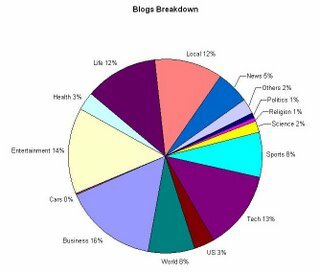 Also at the bottom of the article I have given links to other useful related resources I find useful for people who are planning to make blogging their profession and earn some money out of it with ofcourse the primary focus being on providing people with good articles. Try using large Rectangle Ad (336 x 280) or the the 728x90 Leaderboard, 160x600 Wide Skyscraper, and 300x250 Medium Rectangle. Try to pick the three among this which you think would best suit your site. 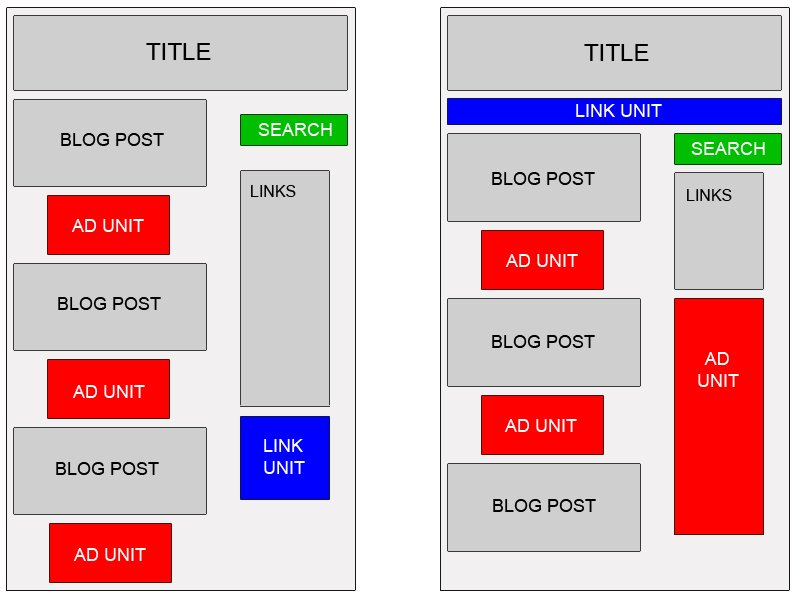 Increasing ad unit presence on your site and placing ads 'above the fold' (i.e., the area visible on a page without scrolling down) can enhance the likelihood that people will see and respond to your ads. Article based pages are an exception, as placing ads directly below an article can lead to a greater number of readers clicking through. Embed the ads. If you wanna know what that means check it out here. Google strongly recommends putting your users first when deciding on ad placement. On pages where users are typically focused on reading an article, ads placed directly below the end of the editorial content tend to perform very well. It's almost as if users finish reading and ask themselves, "What can I do next?" Precisely targeted ads can answer that question for them. Blend your ad units into the background of your blog. Choose a bold color for the ad title to help draw attention to your ads, then make sure that the background and borders of your ads are the same color as the background of the area where the ad is placed. In general, wider ad formats tend to be more reader-friendly. Placing an ad unit after the first post will likely catch your readers' attention. Take a look at the Google sample implementations to get some ideas. According to Hogan the person who set up the website "It was easy to get started, even with setting up sophisticated ad filtering, but the real value of AdSense was apparent once the ads began running." Using AdSense for content, Hogan matched his own site's color scheme and content, maintaining a presence as a serious science daily. "The ads really match our articles," he says. "For visitors, the AdSense ads are a useful extension of our content. That's what's great about Google AdSense—the ads are appealing and appropriate." Read the article here. The effectiveness of Hogan's cost-per-click ads on AdSense is four to five times that of the other ad networks. Based on Google's recommendations and his own testing, he moved ads from the bottom of pages to the directly below articles. Average eCPM immediately jumped by 10 percent. "AdSense for search performs extremely well. It gives us an exceptional click-through rate of 10 percent and generates 10 to 20 times the clicks of a job search service we've tried," Hogan says. "Plus, by using Google site search, I can now drive traffic to content on ScienceDaily that visitors might not find otherwise." But just like google says you should remember that it is the people first and hence the content. And also a lot depends on your website's layout. Basically the ads must blend with your website's design and yet stand out. But if there is no good content it will be of no use. The ads should be an useful extension of the content not the other way round. If you don't have a passion for what you write and say it will certainly show. If you need some tips about writing you can find some at these folksonomy and problogger pages. Also at stevepavlina's blog he has written a very big article about how one should approach if you are thinking about making blogging your profession and trying to make some money out of it. You can read the article right here. As I learn things I would like to share and I hope this helps the people who haven't been able to keep track of this things due to some reason. Also it is always good to go around checking the established websites and blogs and analyse how they have structured it.